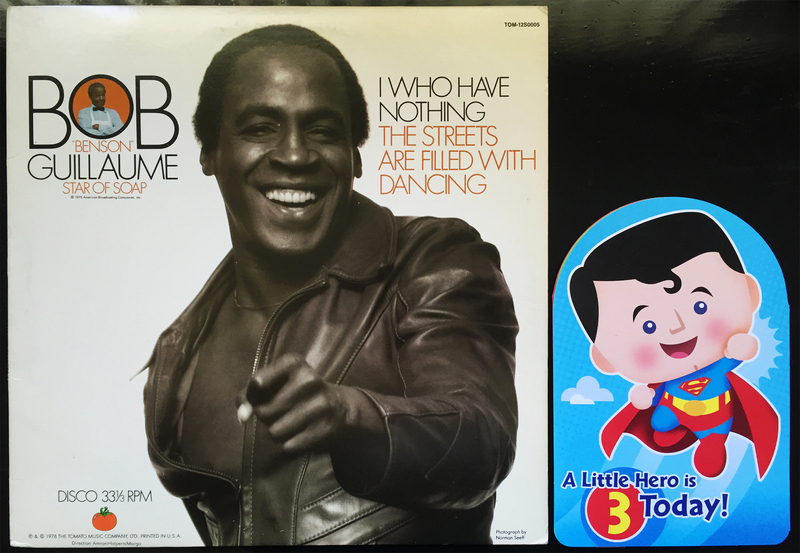 The Benson Birthday Bash aka Happy 3rd Birthday, Baby Groove! So, we’re three today. As we celebrate in our own way, let’s fill the streets with dancing, or as Benson would say, The Streets are Filled with Dancing. 1096 consecutive days and this is where we land. Not bad, for a toddler. Happy birthday, Prudent Groove. The Story of Star Wars is one that is told by children of all ages. It’s an epic tale, full of grandeur and swash buckling angry men. It’s older than I am and can be heard from the mouths of babes echoing throughout every galaxy known to man. 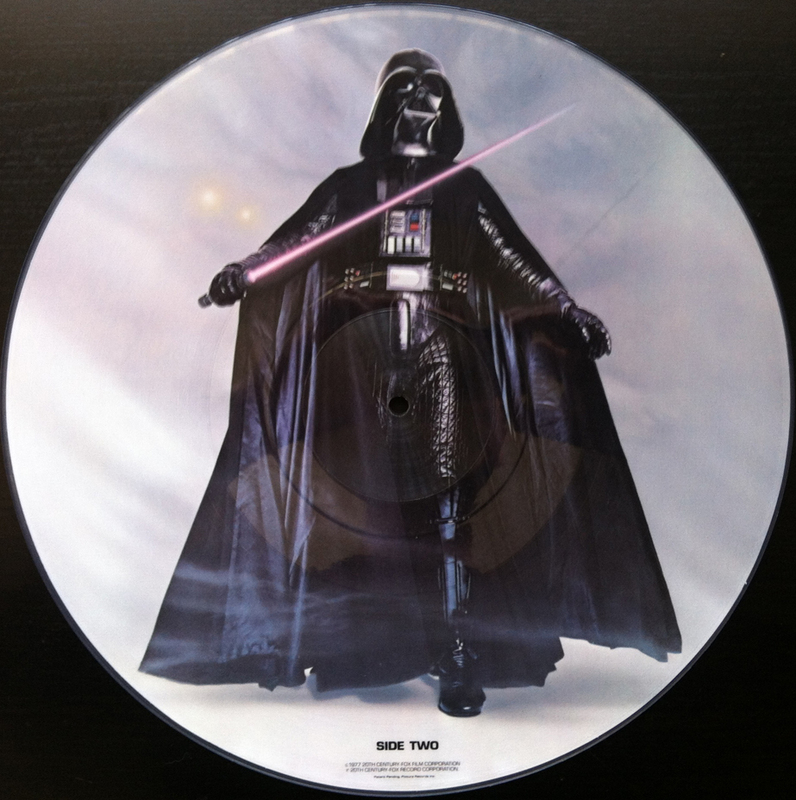 This 1977 picture disc featuring the Dark Lord of the Sith is a hurried version of that award winning tale. It is narrated by the late Roscoe Lee Browne, who you may recognize from Alfred Hitchcock’s Topaz, Logan’s Run and his role as Saunders, the Tates’ butler from Soap after Benson left to star in his own sitcom. The Story of Star Wars had been previously released in non-picture disc form and features the modeling of two classic droids, one Astromech and one Protocol (I don’t need to take a picture, you’ve seen it). Produced by George Lucas (no surprise there), this version comes with a small warning on the back sleeve which states: NOTICE: If played excessively the sound quality of this limited edition collectors’ item may not equal the original album previously released in a jacket bearing different artwork. Basically, it’s a pretty picture record that skips a lot.